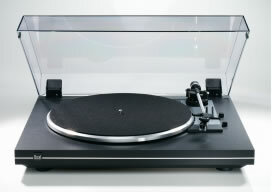 Made in Germany : the legendary turntable is still alive!
. Cardan bearing with zero-mass tracking force setting thanks to precision Torsion spring. 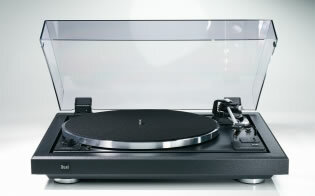 semi-automatic turntable with fine pitch control. Full board with floating suspension. Solid wooden frame. Floating subchassis Aluminium platter with antistatic felt mat. Balanced tone arm. Adjustable counterweight and anti-skating. Autostop with tone arm return. Viscosity-damped tone arm lift mechanism. DC motor with electronic speed control. Dual-DMS 251 S magnetic Cartridge supplied.